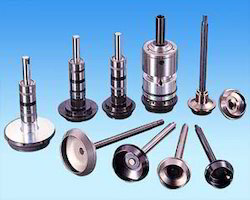 Textile Spinning Machinery Spares, Carding Spares, Comber Spares, Roving Spares, Open End Spinning spares. Spares for all models of Lakshmi-Rieter Make machineries are available from redy stock and against Catalogue and Drawing numbers. Als manufactured against customer specification. 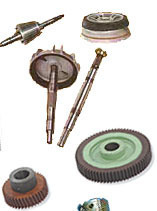 Complete range of spares for LR, Howa, Toyoda. Positive clearer for draw box, detaching roll. One-way Ratchet mechanism for LR Ribbon lap & Silver lap machines. Top Comb strips press in type with imported needles 26, 30 needles per cm. Comber brushes with Mexican fibre. 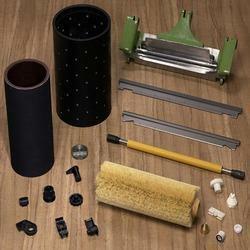 Top rolls both detaching & draw box with cots & end bushes.